Produced by the guys down at the amazing Moonbot studios this film is great. 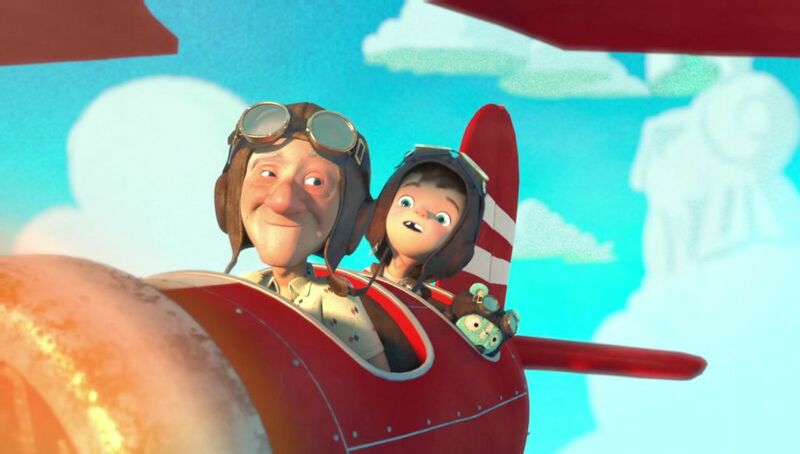 After being dropped off with his 'boring, old Grandpa' one boy's dismay is turned into a thrilling adventure through the power of a shared imagination, a 'Radio-Flyer' and a story telling Grandpa. When Dad returns will the fun be over? Plot how Tony is feeling at key points in the film. Rewrite the narrative as a first person recount from Tony's point of view. Create Tony's internal monologue; taking place in the car on the way to Grandpa's house, whilst Dad is talking to Grandpa and then as the mood changes. Describe one of the adventures in detail. Start with the line, "I was travelling in the 'Radio-Flyer; when... "
Retell the narrative in the third person, changing the adventures, renaming the characters and even the method of transport. In the film we do not see the alien, in your narrative Tony could meet one of them. Describe the alien, create the dialogue that is had between the alien, Tony and Grandpa. Retell the story from Dad's point of view. How does he feel when he sees the two of them so dirty? What goes through his mind to change his mood? Continue the narrative and add in your own adventure. Find Dad's old diary in the garage - write about one of his adventures with his Dad when he was young, journal style. Use DADWAVERS to write a scene from the film.